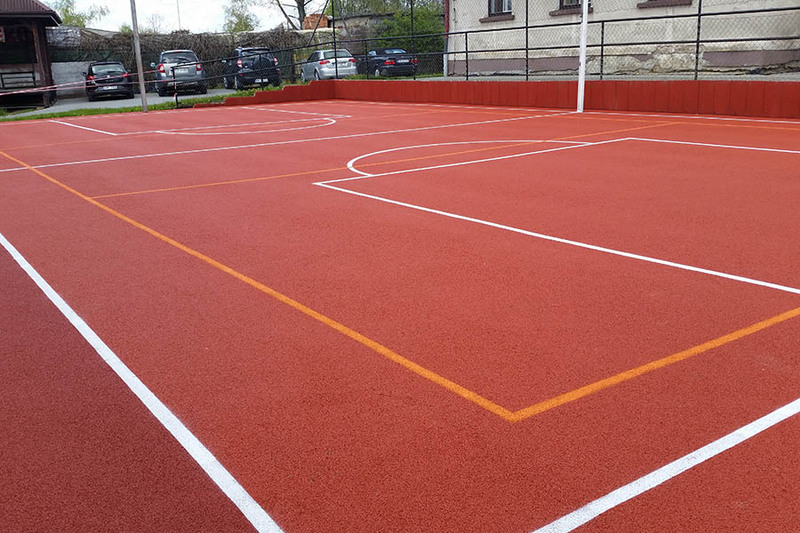 Tanks to a high durability and excellent performance parameters, polyurethane playfields are used for professional sport stadiums and arenas, as well as for schools and residential playfields. Playfields are installed with the help of professional equipment. 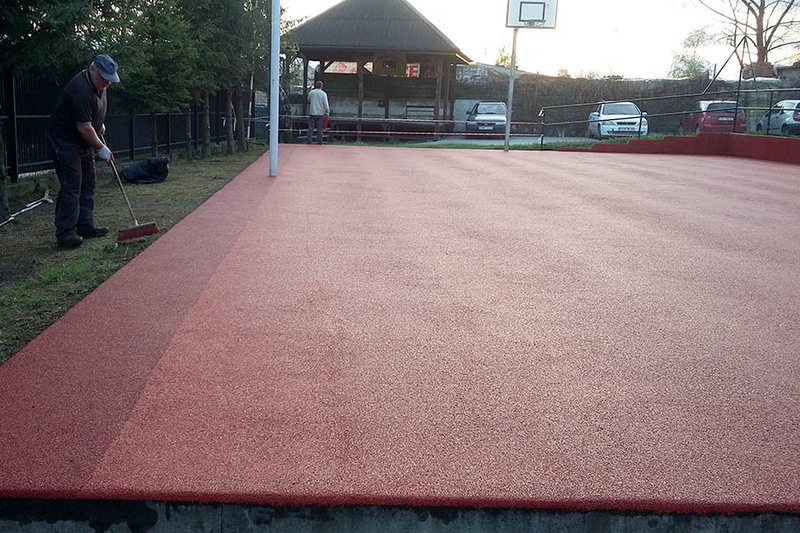 Polyurethane playfields may be applied on concrete, asphalt concrete (MMA) or mineral framework (base). 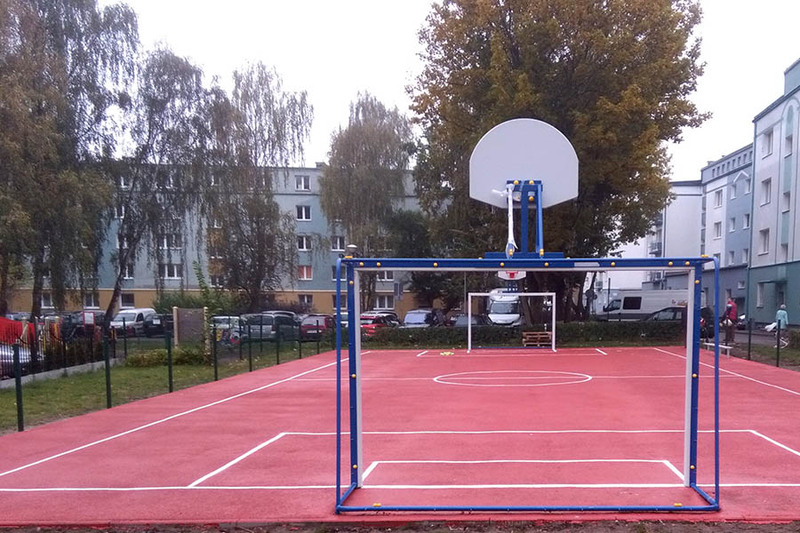 Polyurethane playfields have a homogenous structure – it is a durable and long lasting product easy to maintain. Our products fulfill all requirements regarding safety and performance parameters required for professional sport stadiums and arenas. A wide range of colours is available.. The surface may be applied either by a spray covering machine or by a pour-in-place layer.